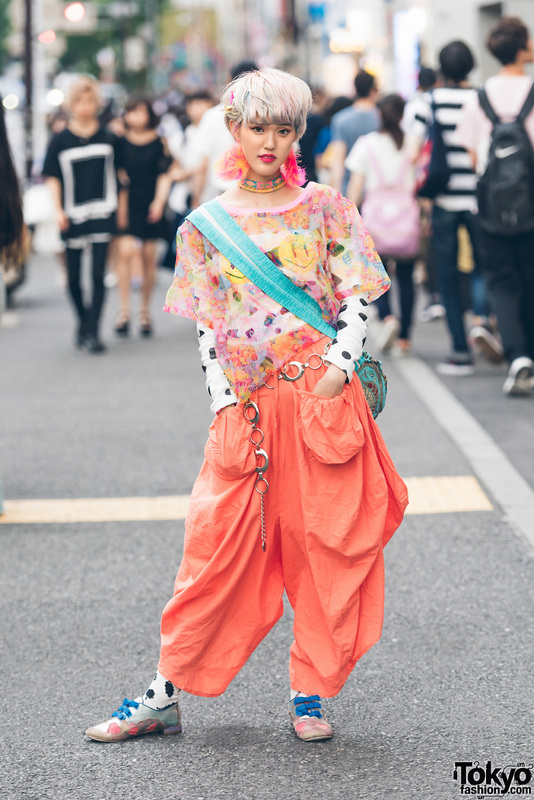 Harajuku girl wearing an asymmetrical top over an off-the-shoulder long sleeve top, resale harem pants, cutout bow shoes, crossbody bag, fuzzy earrings and a colorful collar necklace. 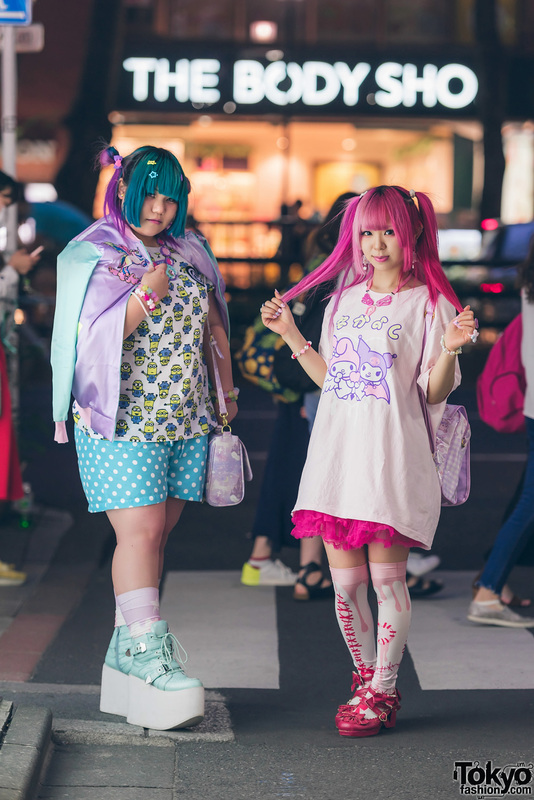 Harajuku girl in colorful fashion style with hoodie jacket, flag shirt, pleated skirt and rainbow platform sandals. Harajuku girl with twin tails wearing a cat t-shirt, ruffled skirt, colorful backpack and lace-up boots with plastic accessories. Harajuku Guy in Milklim “Cotton Candy” Top, Tiara, Sheer Shorts & Spank! Milklim Harajuku staffer wearing a kawaii sweatshirt with sheer high waist shorts, graphic tights, and tall platform shoes. 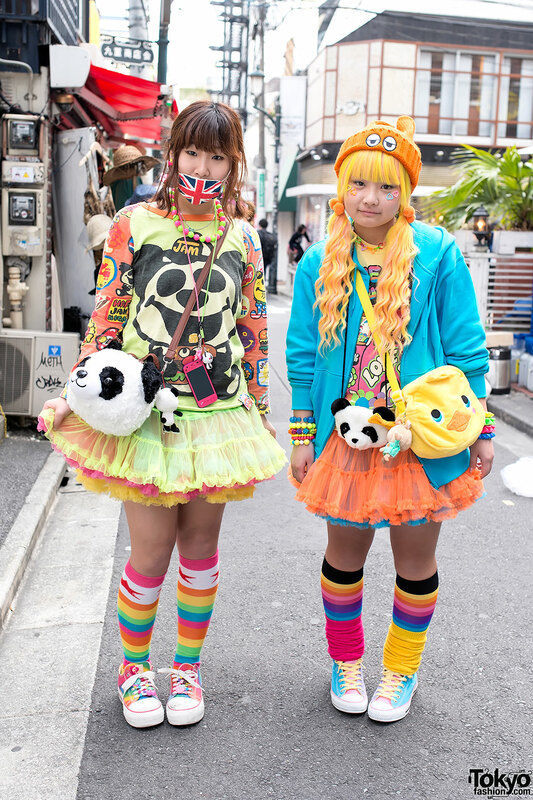 Sisters in twintails on the street in Harajuku wearing rainbow socks, tartan tights and tiger backpacks.